We’ve all had times when we knew we were putting a project in time out. Usually that is accompanied by frustration and getting the project out of our sight as quickly as possible. But we really should be kind to our future selves and take a moment to write down some things about the currently offending pattern in the hope that some day we’ll want to deal with it. This is also good advice when you’re putting a project away for a while even if it hasn’t been behaving badly (say it’s the dead of summer and you can’t stand working on that stranded knit sweater any longer). 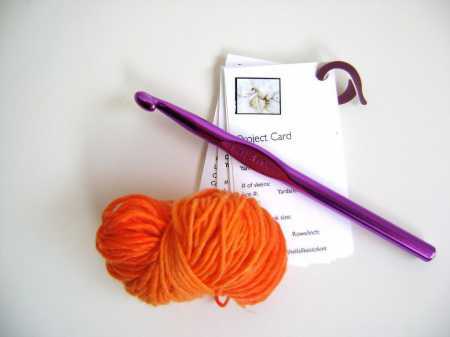 Ashley Little from Crafty’s knitting blog has some great tips for taking notes on a project before you put it away. She says you should note what the pattern is and where it came from (yes! ), as well as where you are in the pattern, what yarn you were using, needle size and the size of the garment you were making. I’m sure I’ve forgotten all of these things about a project I put into hibernation at one time or another — sometimes more than one. This is such great advice! Check the site for a link to a cute download (those project cards pictured above) that might help you get your UFOs a little better organized, too.